Now that Millennials have replaced Baby Boomers as the largest demographic in the US workforce, their preferences for where and how they work, live, shop, travel and play are transforming commerce in New Jersey. Millennials now represent more than 20 percent of the state’s population and their most notable impact is their exodus from suburbia to more urban landscapes – particularly those close to New York City, or with NYC-like, amenity-rich environments – and their penchant for collaborative, high-tech, 24/7 workspaces. The Millennial transformation has been a positive force for many of the state’s urban areas where an exciting resurgence is underway: New restaurants, retail, housing and places of entertainment are revitalizing once-struggling neighborhoods. But further west, in suburban counties such as Hunterdon, Sussex and Warren, a marked population decrease is in progress. Baby Boomers once raced to these areas in search of their dream homes with two-car garages and bucolic backyards. They couldn’t wait to get out of urban areas such as Jersey City; now Millennials can’t wait to get back. Among the effects, suburban shopping malls and their anchor stores are suffering, and a glut of obsolete suburban office real estate has emerged. Indeed, the state is in the midst of a post-suburban era and new commercial urbanism, which businesses must address to retain this economically important group. “It is not an exaggeration to say we are going through the greatest age structure transformation in history, which could bring a disaster of epic proportions to New Jersey,” states Jim Hughes, dean of Rutgers University’s Edward J. Bloustein School of Planning and Public Policy. Millennials have reinvented New Jersey demographics, redefined retail and the workplace, and are resizing the housing market by forgoing home ownership for smaller rental spaces – which now dominate the state’s housing starts – that are located near public transportation and exciting, edgy 24/7 lifestyles, he says. al collusion, kitchens, play areas with “foosball” and video games – all a far cry from the traditional, plain-vanilla suburban office fortresses built before the Internet and other sophisticated information technologies. 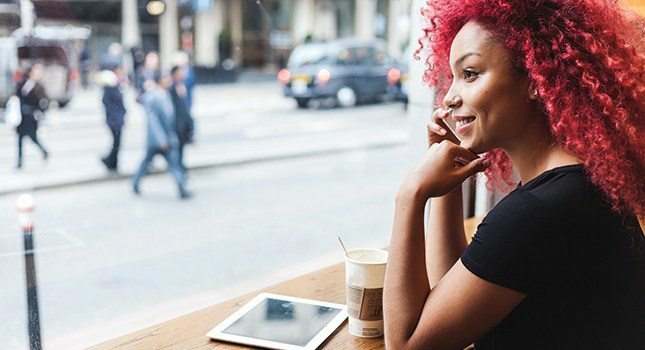 Millennials are well-known to be constantly connected and online via technology, and the workspaces of the future should attempt to integrate this into how workplaces are constructed, agrees Sean Stein Smith, a financial analyst for Hackensack University Medical Center, where workspaces are being redeveloped for Millennial proclivities, he says. “Business problems, which are increasingly linked to social and environmental issues as well as bottom-line concerns, require collaboration, the ability to brainstorm and think creatively, and the ability to, when necessary, break off and focus down on the specific action plan in development,” Stein Smith asserts. Additionally, Millennials may not have the desire to work a traditional nine-to-five day, but this can actually lead to increased productivity, better work-life balance, and better results for both employees and employers, Stein Smith says. The emerging office concepts now demanded by younger workers have generated new businesses such as CoWorks, Regus and WeWorks that offer flexible, shared working environments and amenities for teams of all sizes. Indeed, according to Pew Research, the average monthly rent for a two-bedroom apartment in a non-doorman building in Chelsea (a Manhattan neighborhood) is $5,000, compared to $2,900 in Hoboken. In Newark, home to half a dozen colleges and universities that serve a student population of more than 45,000, Millennials are “entrenching themselves in our neighborhoods,” states Carmelo Garcia, executive vice president of the Newark Community Economic Development Corporation. “You can witness their increasing passion and commitment to the city’s rehabilitation and development efforts: They recognize that this is their city. They place a high value on balancing employment, life and play, and are working hard to start or grow their own businesses. “They also are environmentally conscious and want to live closer to where they work to reduce both carbon emissions and their commutes,” he adds. Accordingly, fewer Millennials have driver’s licenses and instead rely heavily on public transportation. They also are looking for employers whose offices are easily accessible by rail, bus, bicycle or foot. As New Jersey’s Millennials flock to the cities, they also are among the largest groups, along with retirees, migrating out of the state in search of lower-cost living. (See chart above.) Young, highly skilled, tech-savvy workers are drawn to Silicon Valley-type research, start-up and innovation hubs, such as Philadelphia’s new 58-story high-tech Comcast Center. At the same time, many of New Jersey’s businesses also are moving to states where tax incentives are better, it’s cheaper to operate, and where tech-savvy Millennials are migrating. Attracting and retaining Millennials is a multi-faceted process, and flexibility is key, Stein Smith declares.